This adds a series of ore scanning devices. 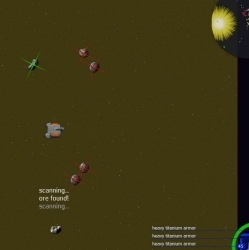 When the player flies near an asteroid it is marked with either a red x or a green one accompanied by a sonar-like ping noise, depending on if it has ore. The red x will go away shortly and not show up again if that asteroid has been scanned before, but the green x and ping will repeat every second until the ore is gone or that asteroid has been determined to be a false positive. There are 5 scanners, from a mark 1 to a mark 5, each higher level scanner is more effective. 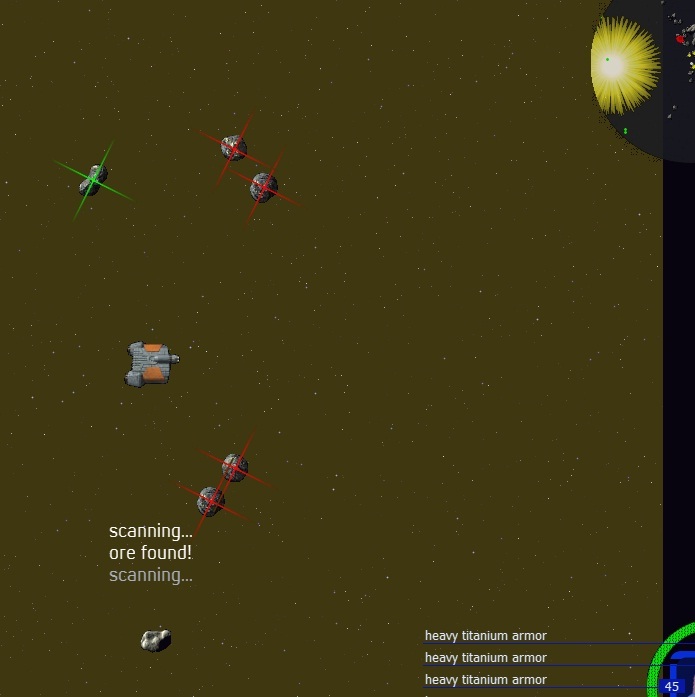 They will not detect all the asteroids with ore, and will occasionally produce a false positive detection. your scanners are a great mining help. It really speeds things up when you know which rocks to shoot. - you can have installed more than once scanner at the same time.